“You should restrict your salt as much as possible to be healthy”. You may have heard a statement insinutating something like this before. After all, salt being bad for our health is just common sense, right? Well when you actually examine the science underlying the concept, we could conclude that it may be one of the most prevalent myths in the health information scene. Adding some salt to your meals is likely not a problem for the majority of healthy people. The link between salt and blood pressure is often overstated, leading to an unnessary fear of salt/sodium by many people. It’s difficult to add too much salt to your meals when you’re diet that contains predominantly minimally-processed/whole foods. Some people may actually need to take in more salt (e.g. athletes who lose lots of sodium via sweat). Sea salt or rock salt potentially may be better choices than commercial table salt, due to their trace mineral content. The long standing “risk” of eating salt has been its effect on blood pressure. One of the earliest papers to promote the salt-hypertension (elevated blood pressure) hypothesis was a 1972 piece by a medical doctor by the name of Lewis Dahl. The paper turned out to be highly influential in the war against salt, despite being a pretty poor study. The research data contained a lot of guesswork and real salt (or sodium) intakes in many of the listed countries were not actually known at that time. Later, based largely on Dahl’s work, a “Select Committee on Nutrition and Human Needs” in the United States published a report recommending that people cut their salt intake by 50-85%. And since then the witch-hunt against salt has never looked back. More studies followed however towards the end of the 1980’s. One was the Intersalt Study. Although initially suggesting a link, the three data points of the lowest sodium intakes are so far from the rest that any decent statistician would consider them outliers and probably disregard them. Removing them results in a flat line graph, i.e. the association between sodium and blood pressure vanishes. Similarly, the Scottish Heart Health study indicated no association between sodium and blood pressure. A 1991 meta-analysis of several studies by Law et al. concluded that there WAS a very real association between salt and blood pressure. However, the paper was highly controversial and received plenty of criticism. Most notably for leaving out the data from the Intersalt study (10,000 subjects!). A bitter dispute then followed between the pro-sodium/hypertension hypothesis (including Law) and the anti-hypothesis camps. In 1996 a paper detailing a new dietary strategy to tackle hypertension, Dietary Approaches to Stop Hypertension (DASH), was published. The DASH diet was based on significantly increasing fruit and vegetable intake as well as reducing both total and saturated fat. Salt intake was not reduced. This dietary change led to a reduction in blood pressure, most notably in those who were already hypertensive. But what part of the dietary changes caused the blood pressure reduction? It can’t be proved. A follow-up study almost five years later combined the DASH diet with salt intakes of varying levels. DASH diets at low-, moderate- and high-salt intake were compared. Going from a high-sodium (3.6g) DASH diet to a low-sodium (1.2g) DASH diet resulted in a systolic blood pressure reduction of a mere 3 mmHg. Yes you read that correctly: 3 mmHg. Your blood pressure would probably change by that much if a doctor took your reading with 2 different blood pressure cuffs. Overall the evidence seems to suggest that you can increase your blood pressure from increasing your salt intake. However, the increase in salt intake needs to be huge in order to increase blood pressure by only a handful of pressure points in most people. However, there are “hyper-responders” within the population, who will see significant changes in blood pressure based on changes in dietary sodium/salt intake. Contrary to what many believe, the salt you add to your meals or add during cooking is not actually that much of a contributor to our salt intake of a typical person. Research into dietary salt intake in a British population (Sanchez-Castillo et al., 1987) found that only 10% of the salt came from the natural salt content of foods, 15% from salt added during cooking and at the table, and 75% from salt added during processing and manufacturing. And according to recently published data from the National Adult Nutrition Survey (NANS) in Ireland, salt that we add ourselves only accounts for about 20-30% of our total salt intake. The remaining 70-80% comes from the salt already present in foods. So the majority of the average person’s sodium intake is contained within processed foods. So for those people who include very little processed foods in their diet, their sodium intake will be lower than the population average. When we sweat we lose salt. When we urinate we lose salt. As many of you may already know, salt is the name for the compound sodium chloride. Sodium chloride is just a sodium molecule attached to a chlorine molecule. Sodium is probably the most important electrolyte to replenish after losing electrolytes via sweat and urine. This is even more important if you are regularly losing large amounts of sweat (if you train intensely regularly or work out in hot conditions). Water replacement is only one part of the rehydration puzzle. Now then, presume you are adhering to a low-salt diet (or low-sodium diet more accurately) and you are a hard-charging athlete, then you are going to likely cause negative issues for your performance and overall health if the sodium you are losing is not adequately replaced. For most people this wont be too much of a problem, owing to the large sodium content of the typical diet in the Western world. But for those athletes who eat super “clean” diets and actively try to restrict salt because they believe it’s unhealthy, then they are at high risk of having a sodium intake that is too low. What’s the Best Type of Salt to Choose? 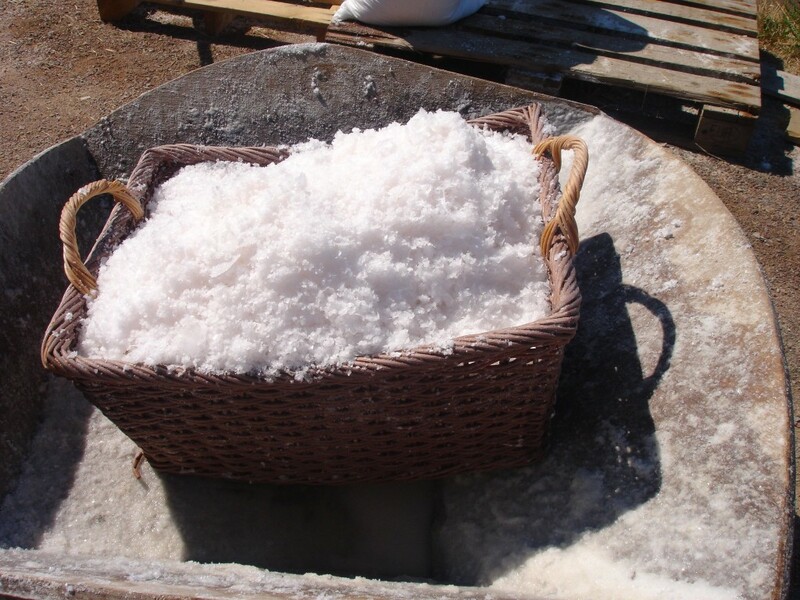 Conventional table salt has a lot less of the trace minerals found in natural salt, due to the refining process. Natural, less-refined salts like sea salt and rock salt have a higher trace mineral content than table salt. Therefore you could potentially make the case that they are better options to choose if you are going to be adding salt to your food. However, considering that the addition of salt at the table and during cooking only accounts for about 15% of the daily salt intake of the average person, it’s unlikely to make massive differences to health. Health-status: Do you have pre-existing hypertension? Do you have renal issues? Always consult your doctor. Blood pressure response to sodium intake: A minority of the population can be classed as “hyper-responders” to sodium intake, meaning that their blood pressure will change significantly if they increase their salt consumption to a decent degree. As discussed earlier, many others will see sodium intake only influence blood pressure to a small degree. Losses via sweat: Do you work our frequently? Do you train in a hot/humid environment? Do you have a high sweat rate? Are you a “salty sweater” (indicates loss of higher concentration of sodium)? How big are you? : A 120 kg guy is going to require more than a 50 kg woman. Our minimum requirement of the mineral sodium is 0.2 g/day. This translates to about 0.5 g/d of salt. The average intake of salt in the general population is as high as 10 g/d for men and 8 g/d for women (sodium intake: 3,000 – 4,000 mg/d), with some figures even suggesting higher. As a initial baseline figure I think it’s reasonable to classify a safe sodium intake at about 1,500 – 2,500 mg/d (equatable to of 3.75 – 6.25 g/d of salt), based on work from the Academy of Nutrition and Dietetics. For hard-charging athletes this can likely be much higher and an may even necessitate the athlete to cosume a sodium-containing electrolyte supplement.